Our product range includes a wide range of teflon test probe and ac/dc high voltage measurement probe. 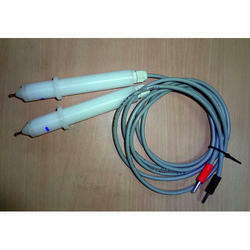 Customized Teflon current and voltage Probes are avaliable for various applications in industries. AC/DC High voltage probe is useful for measurement of high voltage of transforms and HV generated by High voltage testers. 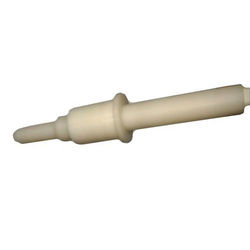 It consists of round needle tip with protected cover. Spring loaded test probe easy to handle. Cable gland at the end of test probe avoiding loose wire. Looking for Test Probes ?